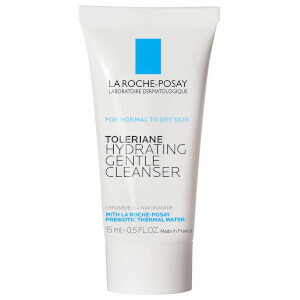 This nighttime gel-cream moisturizer, with La Roche-Posay Thermal Spring Water, Neurosensine and an antioxidant complex [Carnosine + Vitamin E], hydrates and comforts skin. It provides instant and long-lasting comfort and helps restore skin’s protective moisture barrier while skin recovers at night. This minimalist formula is formulated without ingredients commonly known to cause potential irritation or allergic reaction such as preservatives, parabens, fragrance, and drying alcohol. Soothing and comforting texture. Air-tight packaging ensures no outside contaminants get inside. 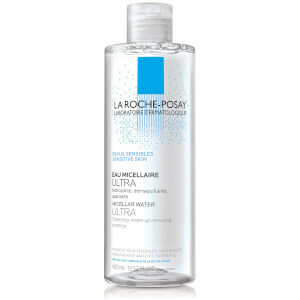 Dry, uncomfortable, ultra sensitive skin. Apply to the face and neck nightly. 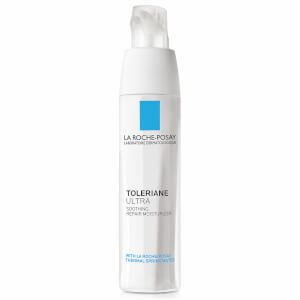 Recommended for use with Toleriane Ultra and Toleriane Ultra Eye for the delicate eye area. Aqua/Water/Eau, Glycerin, Squalane, Propanediol, Butylene Glycol, Butyrospermum Parkii Butter/Shea Butter, Pentylene Glycol, Niacinamide, Dimethicone, Ammonium Polyacryloyldimethyl Taurate, Polymethylsilsesquioxane, Polysorbate 20, Tocopherol, Acetyl Dipeptide-1 Cetyl Ester, Allantoin, Toluene Sulfonic Acid, Dimethiconol, Xanthan Gum, Carnosine, Disodium Edta, Citric Acid, Aluminum Starch Octenylsuccinate, Glyceryl Acrylate/Acrylic Acid Copolymer.